The coral is shaped by the skeletons of soft body tiny animals called polyps. They live in colonies and create branch structures that are growing until making what we call the coral reef. The most common colors are: red, black, pink, white and blue. In the text called "the metamorphoses", the Roman writer Ovide tells us the origin of coral, in between the stories of Perseus and Andromeda. After saving Andromeda, Perseus leaves the head of Medusa on a layer of seaweeds with her eyes looking at the ground in order not to endanger the people. The look of the gorgon petrified the seaweeds and the coral was born. This is the reason why in Greek language, they call the coral "Gorgeia" as a reference to the gorgons. Roman children used to wear coral necklaces to protect them against injuries. The tradition lasted until the Middle-Ages. This tradition still exists in Italy, but more particularly to cure infertility problems. It became the symbol of fertility and women are told to wear a tiny coral horn to become pregnant. In the Middle-Ages, people were advised to wear a coral to be protected against witchcraft. 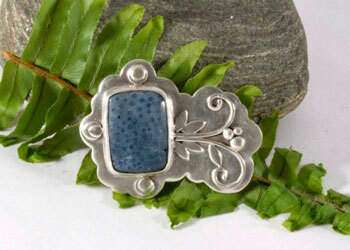 In China, the coral used to be the symbol of richness and of being from a upper class. Amerindians thought that the coral was a sacred stone. 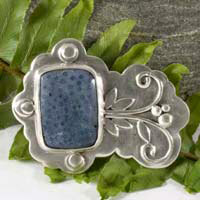 It was a symbol of energy and of vital strength, as well as a protection against the evil eye. Mines: Indonesia, Polynesia, Japan, and Canary Islands. The coral would be very good for bones, teeth, digestion, circulation, pains in the spine and thalamus and to improve smell. It would help protecting children during their growth. 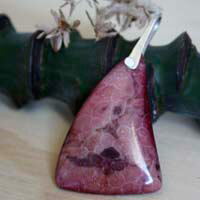 The red coral would own the water strength from the sea as well as life. It is transformed into a stone when it is in contact with the sun and the air. It symbolizes blood and therefore life. It would be efficient for hiccup, colic and stomach pains. It would cure kidney, bladder and parathyroid disorders. 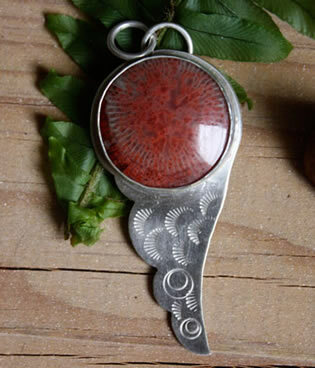 The red coral would help to get pregnant. It would help to regulate menstruation problems. 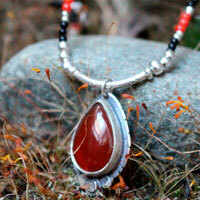 Click here to see the healing properties of the red color. The black coral, even if it is associated to the dark side, would help to get rid of nightmares and negative things. It is the stone of regeneration.